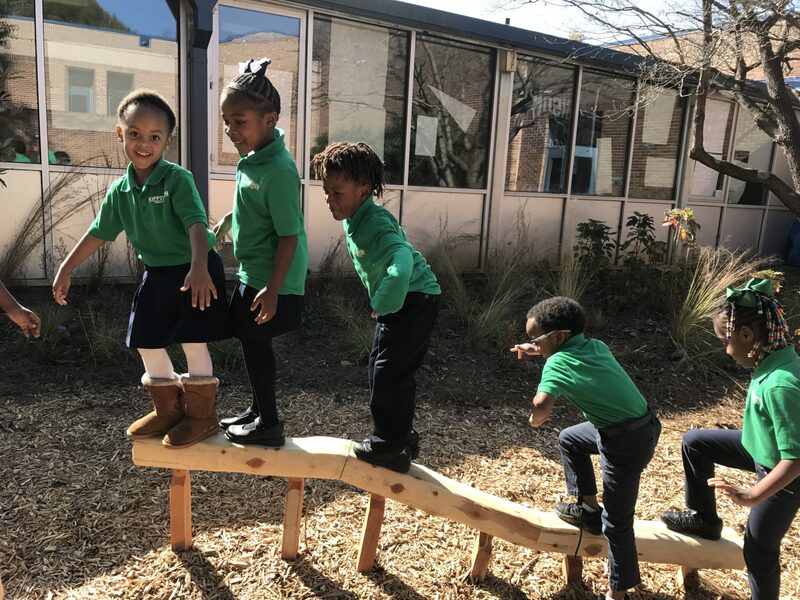 KIPP Vision Primary School was founded in 2013. 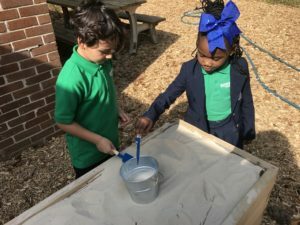 At that time, the school consisted of four kindergarten classrooms. 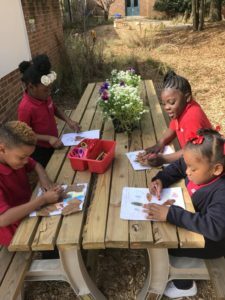 Now as we enter the 2017-2018 school year, we have just added our fourth-grade class and the school has a number of offerings that help to create a more well-rounded experience for our scholars. 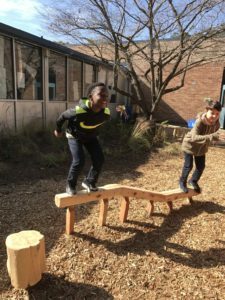 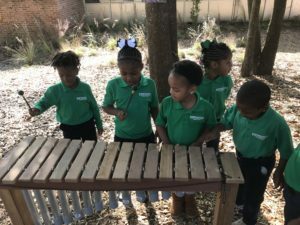 We are proud to offer our own playground, a garden, a loose parts playground, and thanks to Nature Explore, we have fully revitalized a central space on our campus and have added a full outdoor classroom. 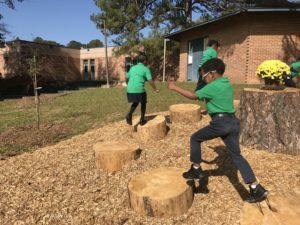 Now when students walk outside of their building, they see that beauty surrounds them. 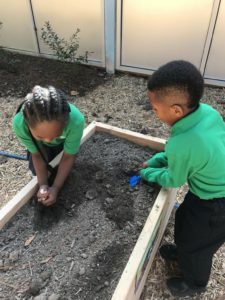 This will help them learn more about bees, butterflies, plants but mostly about themselves; they’ll learn about how they too are a part of nature and that outside is a wonderful place for everyone (plants, animals, and people) to learn and grow. 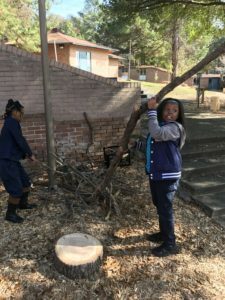 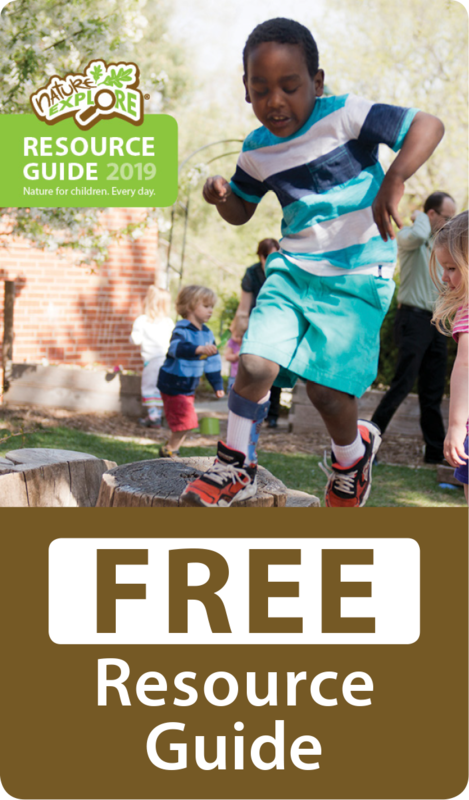 We would like to express our sincerest gratitude to Nature Explore, Plants Creative Landscapes of Decatur, USDA Forest Service Southern Region, Trees Atlanta and all of the volunteers that helped to create an amazingly beautiful and peaceful space for our students.